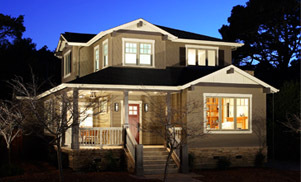 Schalich Brothers Construction was founded in Marin County in 1980. We specialize in new custom home construction and remodels in both the residential and small commercial sectors in Marin, San Francisco and Sonoma Counties. We are multi-licensed to create a turnkey environment for our clients where we can construct both your house and exterior components to streamline schedule and potentially reduce costs. We are family owned with long time employees, great sub base and look forward to constructing great buildings for another 40 years. Our goal is to forge lasting relationships with our clients through excellent workmanship and constructibility methods. Our strong suit is working with the clients, their architects and designers in completing the project on time, on budget, and with the quality we can all be proud of.